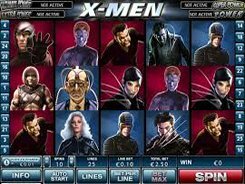 Five-reel 25-line X-Men slot is based on the Marvel comic book range and a legendary American film. You will encounter your favorite protagonists who will create winning combinations up for grabs. Before you spin the reels, adjust the number of lines you’ll bet on. Then place a bet up to 10 coins per line, and set up a coin denomination between one cent and one dollar. A ‘Wild’ logo is the wild symbol, as you may have guessed. Its first strength is that it substitutes for other icons to create winning combos. 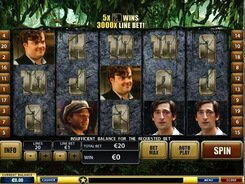 Besides, five wilds yield the highest prize of 10,000 coins. The X-Men logo serves as a scatter, with those three initiating a Bonus feature where you can jump into a Heroes mode or a Villain mode. 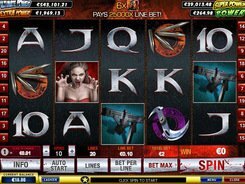 At the beginning, you start with the Heroes Mode getting the Unlimited Free Spins Feature that keeps on till you roll up Magneto on reel 3. 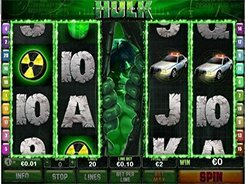 This triggers the Villain Mode, which grants 8 free spins only. 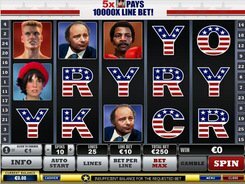 The slot starts the X-Feature bonus when you roll up all five heroes on reels 2, 3 and 4, such that they create the letter X. 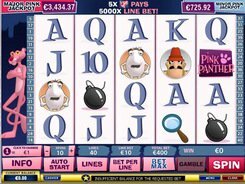 The X-Feature multiplies your total bet by x5. PLAY FOR REAL MONEY!